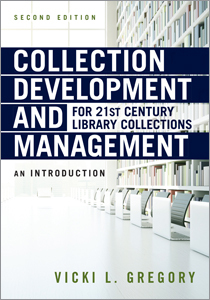 Since Vicki L. Gregory first published Collection Development and Management for 21st Century Library Collections, it has become a go-to resource for both LIS students and professionals. The new edition cements its status as a classic text on the discipline. So we were thrilled to discuss with Gregory the updates and enhancements she's incorporated into the book. Our interview is below. The first edition of your book was published in 2011. What were your priorities as you revised and updated it for the second edition? 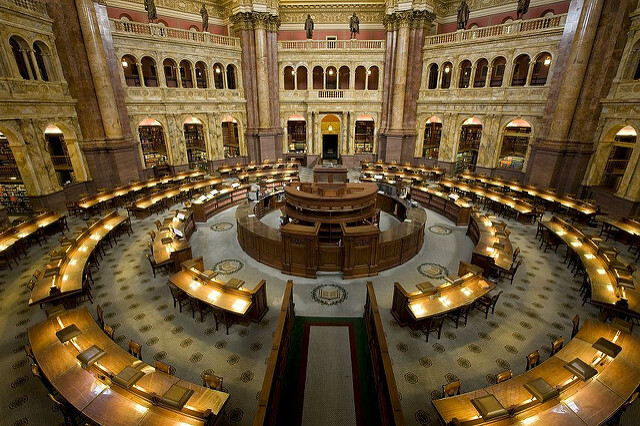 As we see almost every day, the often exhilarating pace of change in the library and information science field can be difficult to comprehend — sometimes to the point that too many people may, to use a somewhat dated analogy, miss some of the information superhighway’s on-ramps, staying with the old ways exclusively. And conversely, with the continuing economic pressure for the use of non-traditional formats, I worry some of those placed in charge of collections may be tempted to throw up their hands and in effect turn the selection process over to the not always tender mercies of the electronic publishing industry. So I thought it made sense to bring collection development materials up to date in a way that emphasized retaining the strengths of the traditional approach while recognizing the value of the new; and that’s what I set out to do. What are some ways you kept the needs of LIS instructors in mind while writing the book? I have added enough new material that I think should ensure that LIS students find the subject relevant to their needs; when you succeed in doing something like that, you inevitably help the instructor. Teaching enthusiasts may just be the easiest thing in the world. But dealing with the bored or disinterested student presents a most difficult task. By introducing students both traditional and new approaches, the instructor should be able to emphasize the elements of collection development, new and traditional that the instructor deems best for his or her students. Continuing from the first edition, the discussion questions and activities can help new instructors or adjuncts in class preparation. In your new preface you note, "Unlike previous textbooks in this area, the approach used here is not strictly based on formats per se, but rather on the processes that librarians need to use in evaluating, gathering, maintaining, and preserving materials." Why do you consider that approach important? If there is to be any lasting value to these materials, flexible processes will be the key. Formats come and sometimes go; each decade. Also, this approach cuts down on some material that would have to be duplicated if each format was considered separately. Students tend to be put off by reading similar material with only some exceptions in several chapters. To get students to really read their textbooks, shorter is nearly always better. LIS students generally have families and children and may also be looking out for their parents as well, so they must divide their time wisely. In your chapter on ethics and intellectual freedom, you've added a new section on self-censorship. Why? Over the years, I have noticed that the greatest danger to intellectual freedom may not be heavy-handed government control or conservative religious beliefs, but essentially peer/societal pressure that results in self-censorship based on what is perceived problems that may not actually exist. I always find it interesting to notice the differences in student behavior when asked to respond to an intellectual freedom question theoretically as opposed to making a decision on including a particular book in the collection or even in weeding decisions. At that point one can nearly always catch the personal beliefs of students that are not present when responding on a theoretical basis. Even if a graduate is never employed in a library with censorship challenges from the users or their town, they face self-censorship issues every time they make decisions about their collections.